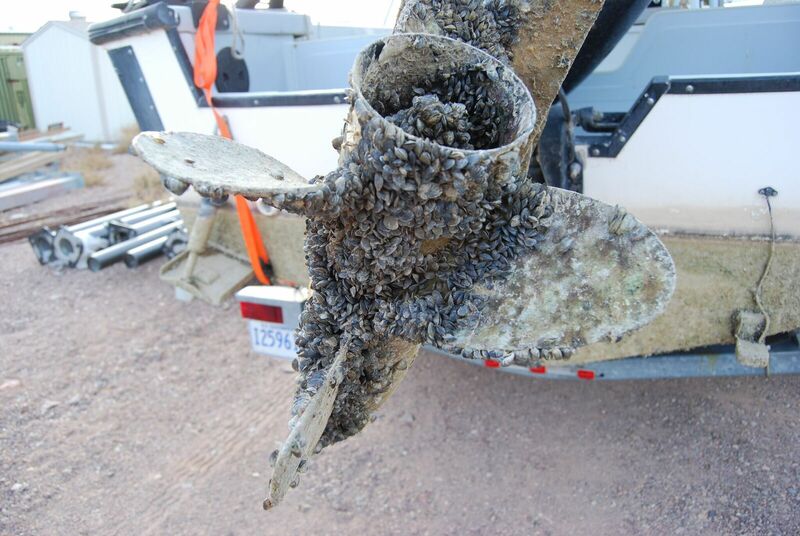 Invasive species, whether microorganism, plant, mollusk or fish can cause serious damage to the business of boating if the industry does not work collaboratively to combat the problem. As one step, manufacturers of boats, trailers and accessories have begun to design with a look toward what will not only prevent aquatic invasive species (AIS) from attaching, but also what can be done to ease the decontamination process if AIS is found. Building to combat AIS was brought to the forefront at a summit in 2015 hosted by the American Boat and Yacht Council. It was attended by about 100 people representing boat, engine, trailer and accessory manufacturers, state and federal natural resource agencies, and marine organizations, for planning how to minimize invasive species. The summit looked at boat hulls, components, engines and trailers. Past the need to educate, the group began looking at how boats, trailers and components could be better constructed to remove or alter areas that typically housed AIS and were difficult to clear. “Manufacturers can think about this at the design stage because it’s a lot easier to make changes in design than in the final produced product. Some of the lifecycles in development can take years. The manufacturers looked at how can systems drain better, be easier to inspect, and be less likely to transport AIS,” Goodwin said. In lieu of a standard that would be difficult to achieve because of the wide variety of boats on the water, ABYC released a technical information report to increase the understanding of AIS and to offer guidelines and best management practices for how to design components to ease the process of decontamination and/or to prevent contamination. The potential for transportation of AIS has led to an increase in boat inspection and decontamination stations across the country, particularly in the west. Boats moving between water bodies or across state and federal boundaries are examined to ensure they are not transporting invasive species. 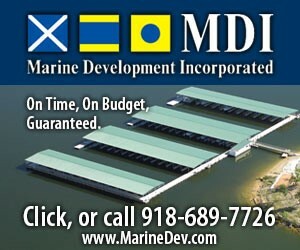 An inspection includes a physical and visual evaluation of a boat to determine if AIS or residual waters are present. If either is found the boat must be decontaminated basically by using hot water, 120 to 140 degrees, to wash down the boat hull, ballast tank, bait well, bilge, gimbal, and engine, and to hose down the trailer, lifejackets, anchors, and paddles. With this process in mind, ABYC’s technical guide suggests manufacturers should design to improve access to areas that can hold water like bilges or ballast tanks. For boat construction, the guide suggests implementing external flushing ports, sealing strakes, keels and ribs and selecting materials that allow for complete drainage. For system designs, suggestions include using universal flush inlet fittings and consideration of filtration devices for raw water systems. Propulsion systems could be improved using closed cooling systems and external flush adapters, and again standardizing flush connections. Finally, the guide provides tips for trailer design including labeling AIS flush ports, avoiding square edges that trap AIS, using open frame construction or self-draining tubular designs, and examining ways to make components, like lights, which are submerged, self-draining. Goodwin said a lightbulb went off at the summit when the discussion turned to the decontamination and the high temperatures that are required in the process. There had been cases where manufacturers of engines or components were making repairs to parts that had been damaged through the heat of the water. Some had not considered the connection of the hot water damage and decontamination, but it was clear the industry had to consider this in the design process. He said Premier Pontoon was a leader in talking about changes in construction as the company has been focused on minimizing AIS for a few years. “They seal keels, make their engine wells easy to drain, and test all their engines for effects of hot water,” Goodwin said. Goodwin said Volvo sterndrive has put in better flushing, and Indmar created a quick connect for raw water for the engines, making it easier to attach and reattach, but he said many manufacturers are receptive to making design changes, but are under more pressing problems, such as the threat of tariffs, that push this issue to the back burner. The speed at which manufacturers can undertake change also varies. A builder of aluminum boats could implement changes rapidly, while a fiberglass builder that uses lots of tooling would take longer to come up with a new design and change out the tooling required to achieve it. Overall, there isn’t a quick fix from the design end. However, Goodwin emphasized that the AIS problem is not going to disappear and will likely get worse. He said that during the recent second summit, the audience learned of an invasive beetle that has a taste for ethanol and had been found to bore holes in boat fuel lines and portable fuel tanks. As new products and formulas are introduced, unintended consequences can arise. “Manufactures will have to look forward on this. The issue will not go away so they have to start working now to prevent the spread. It will be necessary to help protect the environment for their customers. We need good practices now because we could end up with something much worse. At the same time products can be shown to be beneficial. “As a side project, research has been going on on the effect of anti-freeze on zebra mussels. Many boatyards winterize boats before they ship them off and they found that microscopic organisms that came in contact with the antifreeze were killed off so boaters trailering their boats off for winter storage weren’t transporting the organisms,” Goodwin said. While marinas are not responsible for boat design, they are responsible for understanding the problems that arise from AIS, why they should educate their customers, and, in some instance, why they need to have decontamination processes on-site. As Goodwin explained, all aspects of the marine industry can be impacted when a water body shuts down due to AIS or boaters turn to other recreational pursuits. Fighting the introduction and spread of AIS is an issue in which all parts of the marine industry play a role.